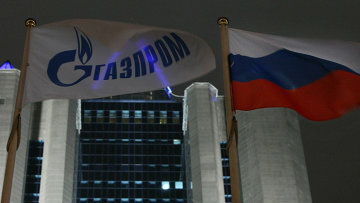 Gazprom suspected of violating shareholders' agreement | Russian Legal Information Agency (RAPSI). MOSCOW, June 13 - RAPSI. Northgas co-owner Farkhad Akhmedov has reported that Gazprom violated shareholders' agreements with the company and has filed a lawsuit with the London Court of International Arbitration, Vedomosti reports on Wednesday. Gazprom committed to ensure the sustainable operation of Northgas under shareholders' agreements dated 2005. However, in late 2011 Gazprom refused to renew a contract on the previous conditions and tried to impose unfavorable terms on Northgas, Cyprus-based R.E.D.I. reported. R.E.D.I. is seeking to order Gazprom to process gas condensate on the previous terms and also to compensate them for the lost profit. In addition, the companies failed to agree on bulk gas prices. The complaint was filed by R.E.D.I. through which Akhmedov owns 49 percent in Northgas. R.E.D.I. maintains that Gazprom's actions have led to losses for Northgas and have devaluated Akhmedov's stake. The complainant also said that Gazprom Neft is interested in purchasing Akhmedov's stake, which is currently worth just under $1 billion, and has even signed a letter of intent on this matter with R.E.D.I. 12:01 13/06/2012 Northgas co-owner Farkhad Akhmedov has reported that Gazprom violated shareholders' agreements with the company and has filed a lawsuit with the London Court of International Arbitration.